The Jarvis Model SPC 141 – pneumatically powered air saw. 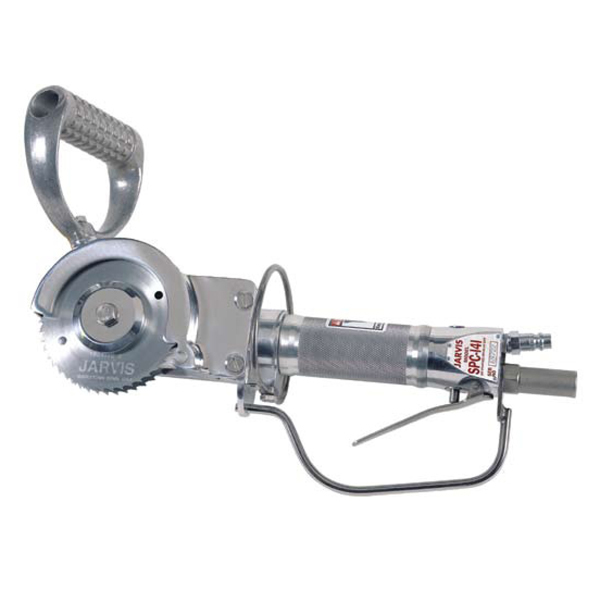 • The SPC 141 is ideally suited for opening up mis-split spinal cord cavities in beef. • Heavy duty gears made to withstand all uses in the packing plant industry.